Note: I am about to commit much injustice to Carl Jung by trying to use his theories in such a short essay. In Jungian psychology, the Sensors are the psychological types who see things in detail while the Intuitives see things in patterns. Sensors takes the details and look for practical solutions while Intuitives take the patterns they see and look for future possibilities. Sensors are creatures of the present while Intuitives are creatures of the future. Sensors will look at an apple and when asked to describe it, say it is green, juicy, crunchy, fragrant and smooth engaging their senses. Intuitives look at the same apple and say, William Tell, pig roast and that it will keep the doctor away . (Examples by Blake Burleson in “Pathways to Integrity”). These are their very different operating systems with which they enter this world. If they are healthy individuals they will begin in middle age to develop their opposite functions. Jung called this individuation. The sensor gets into the intuitive’s shoes and vice versa. Not sure if the stats are still the same from when I studied this 10 years ago, but about 73% of Americans are Sensors and the rest Intuitives. This may be part of the frustration that dreamers of all kinds get when they are told that “it’s not possible” or “it’s not needed”. At the same time, without the anchoring I get from my rancher Sensor husband, I would be like a helium balloon and possibly drift of into the ether of my dreams and get absolutely nothing done. Isabel Myers, co-author of the Myers/Briggs Personality Type Indicator along with her mother titled her book “Gifts Differing” and quoted Romans. “We are all of one body but with gifts differing.”. We need each other to complete things. So most of the time, if it’s not broke you don’t need to fix it. But always throughout time in quiet corners of the world there have been people thinking and pondering other social constructions; other ways of being human. And right now we should turn to this small group of engineers, architects, artists, and prophets and ask for their help. That’s because our system is actually broke and we need to fix it quick. Maybe what we need now is something tried and true mixed with the new. Maybe we need a cat. A mother cat. or a Mother Bear? 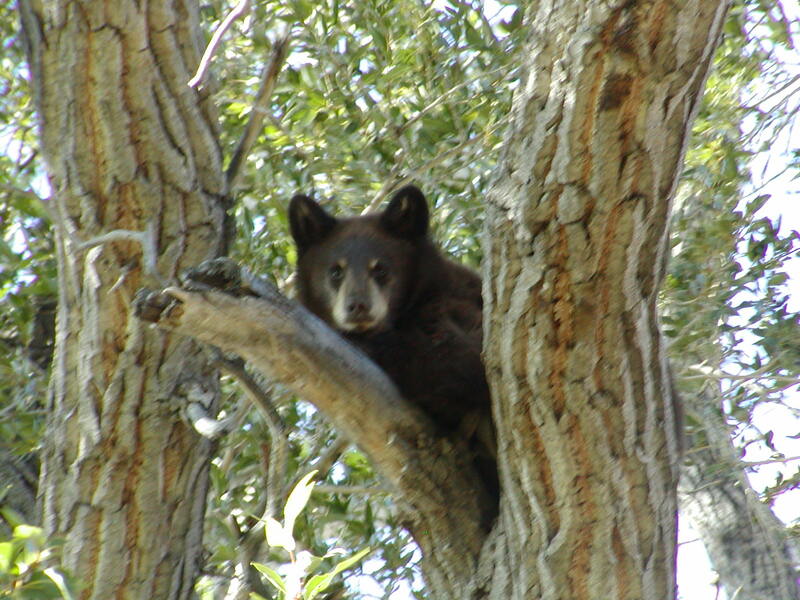 (Only bear siting that my husband ever saw on the ranch, by the way). 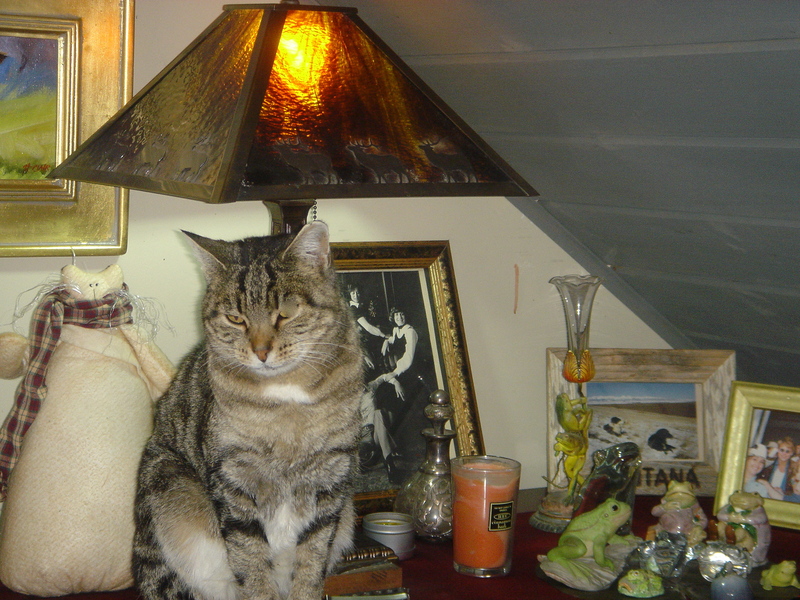 This entry was posted in Montana Life, The Accidental Activist and tagged anarchism, capitalism, Carl Jung, cats, Isabel Myers, libertarian, psychological type, socialism. Bookmark the permalink.